We finally have a solid release date from Spring on the upcoming, and one and only 4G wireless data phone, the HTV EVO 4G. The release date for the HTV EVO 4G is June 4th, 2010. 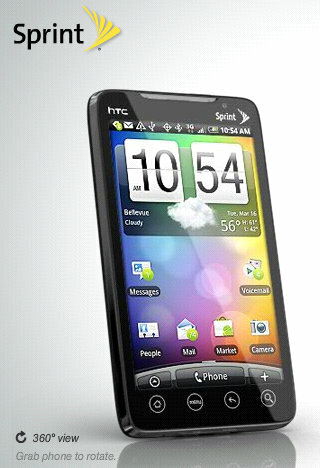 Sprint is said to be taking pre-orders for the HTC EVO 4G at the end of May (coming right up), although taking a look at the Sprint website there is no indication as to when the pre-order window will open. Certainly $80/ month for unlimited everything, including 3G and 4G data is sounding like Sprint’s going to get more of my money. Sprint will also be charging an additional $29.99 per month to use the mobile hotspot function of the phone. This allows sharing the 4G connection with up to 8 devices over the phone’s Wi-Fi connection.